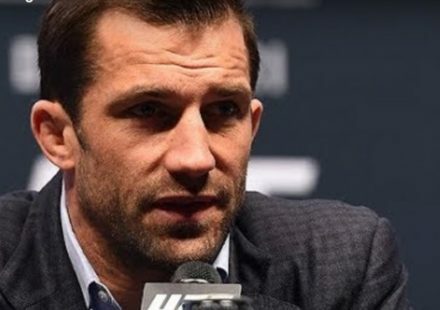 Can Coleman Upset Fedor At Pride? Fedor Emelianenko is a Rings veteran and the current PRIDE heavyweight champion. Easily considered pound-for-pound the best MMA fighter in the world, “The Last Emperor” has been the most dominant heavyweight in the organization’s history. Undefeated in a PRIDE ring, the Red Devil Sport Club fighter has beaten world class opponents including Antonio Rodrigo Nogueira, Mirko “Cro Cop” Filipovic and Mark Coleman. Still relatively unknown to the U.S. audience, the Russian fighter looks to make a big impression with his upcoming American debut. Mark “The Hammer” Coleman is a former UFC heavyweight champion and the winner of PRIDE’s 2000 Grand Prix tournament. A former NCAA wrestling champion, Coleman is often considered the pioneer of the ‘ground-and-pound’ fighting style that we know today. Coleman holds notable wins over Don Frye, Dan Severn, and Igor Vovchanchyn. These two men first met at the opening round of PRIDE’s 2004 heavyweight Grand Prix. In the final fight of the evening, Fedor submitted Coleman with an armbar and would later go on to be crowned the tournament champion. Now, these two fighters will meet again on U.S. soil as the main event of PRIDE’s highly anticipated American debut. Mark Coleman is coming off of a win over Mauricio “Shogun” Rua at PRIDE 31 in late February. 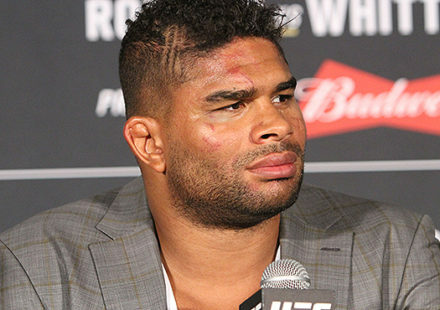 In the final fight of an event ironically dubbed ‘Unbreakable’, Rua broke his arm trying to brace his fall after a double leg takedown attempt from Coleman. Unable to continue, Mark was awarded the victory that sparked an in-ring melee afterwards. Fedor Emelianenko hasn’t fought since New Year’s Eve where he made quick work of Wagner “Zuluzinho” da Conceicao Martins. Shortly after, Fedor agreed to undergo hand surgery to repair an injury he has endured since 2003. Recovering from surgery, Emelianenko was unable to participate in this year’s Open Weight Grand Prix. The odds seem to be against Coleman as he is in a position to pull off arguably the greatest upset in MMA history. A return to the U.S. also means a different set of rules. According to the Nevada State Athletic Commission, fighters are not allowed to wear shoes. As a wrestler, Coleman knows the benefits of having shoes and the loss of the additional traction may affect his takedown and clinching abilities. In addition, the lack of knees, stomps and soccer kicks to the head of his opponent will limit Coleman’s arsenal on the ground. History has shown that NSAC’s scoring system favors wrestlers and fighters with similar wrestling styles/backgrounds. If Mark can use his physical strength and wrestling prowess to keep the PRIDE heavyweight champion down, he can potentially pull off an upset. Coleman has had a problem with poor conditioning in the past so the three five-minute rounds may work to his advantage. Fedor has fast powerful hands and good balance for a heavyweight. His striking is a bit unorthodox and he favors leaping lead punches. 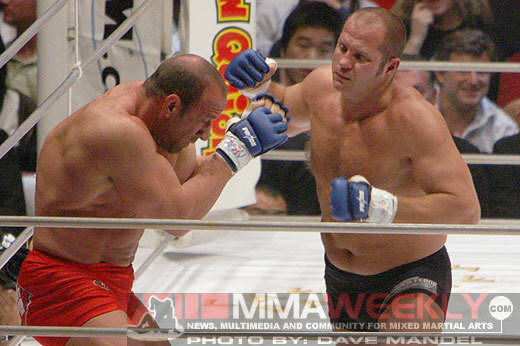 If Mark Coleman pioneered the ‘ground-and-pound’, then Fedor has taken it to a new level. The Russian’s relenting accurate strikes on the ground has been matched by no one. A world champion in Sambo, Fedor is well-versed in submissions and has proven to have excellent conditioning. In their last fight, Coleman was able to throw Fedor to the mat using his physical strength. Unfortunately, Mark was unable to capitalize. Against Coleman, Fedor was susceptible to the single leg takedown. What makes Emelianenko a remarkable fighter is his ability to adjust to his opponents and adversity. In his third fight with Antonio Rodrigo Nogueira, Fedor executed the perfect game plan that frustrated the Brazilian fighter and left no question as to who the victor was. Expect the champion to be fully prepared and ready for whatever Coleman may bring. Suffering back to back losses to Fedor Emelianenko and Mirko Filipovic, Mark Coleman seemed to be in the twilight of his career. After his technical win over “Shogun”, a resurgent enthusiasm and confidence has taken over “The Hammer”. 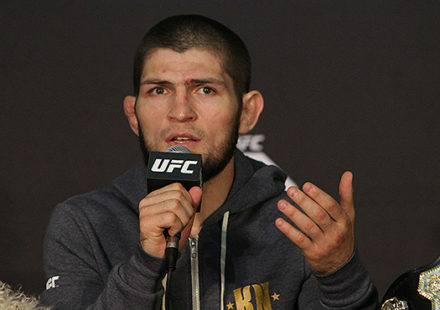 However, time may be against the former UFC champion. Look for Fedor to use his advantage in striking to set up a submission victory in the first round.